In-Depth, Data Driven, Actionable Advice. The day and a half event, being held May 27 & 28, 2019, is the blueprint for rental apartment development in Canada. We are going back to our roots in order to make an event that will tackle the real issues that rental apartment developers face. Over the course of two days, North America’s foremost experts in the rental apartment, mixed-use, and student housing industry will address critical and timely issues that are driving change in the industry today using real world experience, data, and best-in-class case studies to support their conclusions. I’ve got an option on a piece of dirt, how do I figure out if the deal worth moving forward with? We’ll show you how to determine high level rental rates and operating costs from 30,000ft. I’m comfortable developing in my usual markets, but the cost of land is becoming prohibitive. How do I determine which other markets I should be looking for sites in? What are the important variables? Drilling deeper: I’ve found my site – now what do I build? How to figure out your unit mix, amenities, and rental rates. What hoops am I going to have to jump through with the city? Strategies to streamline your approvals process. 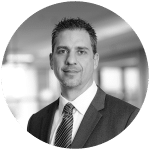 Donny Afonso, Pelican Woodcliff Inc.
One of the great advantages of owning apartment assets is the ability to refinance it and take out the additional financing proceeds tax free. As the NOI increases over time, savvy owners will refinance their properties regularly to take advantage of the tax-free cash they receive by obtaining larger mortgages. Some developers will choose to keep their asset, and some will choose to sell on certificate of occupancy, partial lease-up, or when fully leased-up. If you sell, how Should you do it and when? What’s the liquidity of a forward sale, an empty building, and a stabilized apartment building? What percent commission should you pay your broker? Given the broad range of issues that were raised over the last day and a half, a panel of some of the largest apartment developers in the country will offer the last word. Representing a cross-section of Canada and the Canadian apartment landscape, the panel will offer their insights on what risks and opportunities lie ahead, and what courses of action would they suggest accordingly. What’s the depth of the market? Should you build to keep, or build to sell? If you sell, who will buy? Brian McCauley, Concert Properties Ltd. The program is not final and is subject to change with no notice. Additional details to come. Donny (B.Sc. (Quantity Surveying) PQS, MRICS) is a Principal with Pelican Woodcliff Inc., a consultancy specializing in cost planning, project monitoring and cost control for private and public sector clients. Donny has over 21 years of experience in providing construction cost and schedule advice on numerous projects. 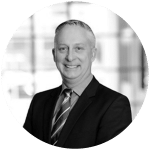 Donny has been a Board Director with the Canadian Association of Consulting Quantity Surveyors (CACQS) since 2014 and is currently the President of the Association. Linnea Chamberlain’s professional career began in earnest at Chamberlain in the Production Department. Linnea has since risen to the role of Vice President. 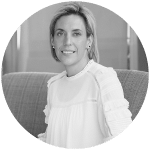 Prior to joining Chamberlain in 1997, Linnea spent four years working in Bahrain, South Africa, and France. Her love of travel and anything that requires tenacity is what made her the perfect fit to implement the opening of Chamberlain’s Shanghai Office in 2006 and working on a large Waste to Energy Project in Mazatenango, Guatemala. Linnea’s current responsibilities are varied and include running the Project Management Portfolio at Chamberlain. Linnea is totally committed to the production of clear, concise and complete construction documents. Her strengths are in building the project requirements, and managing the constraints of the project management triangle, which are cost, time, scope, as well as quality. Linnea is passionate about social responsibility. She sits on the Board of Directors for Woodview Mental Health and Autism Services and is a senior volunteer with the Aga Khan World Partnership Golf. Linnea enjoys collaborating with like-minded firms and forward-thinking owners to maximize the benefits of their collective experience. Philip D. Fraser is President and CEO, and a Trustee, of Killam Apartment REIT (TSX:KMP:UN). Prior to the January 2016 REIT conversion, Mr. Fraser held the role of President and CEO, and a Director, of Killam Properties Inc., since its inception in 2000. Since its first acquisition in 2002, Killam has grown to over $2.8 billion in assets. Today, Killam is one of Canada’s largest residential landlords, owning, operating and developing multi-family apartments and manufactured home communities. Mr. Fraser holds a Bachelor of Commerce from Dalhousie University (1983), a Master of Urban and Rural Planning from Technical University of Nova Scotia (now Dalhousie University) (1988), and a Master of Business Administration from Saint Mary’s University (1988). Mr. Fraser is a member of the Board of Governors and the Executive Committee at Saint Mary’s University. 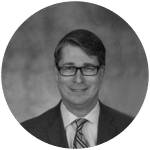 Mark is the Senior Vice President of KingSett’s development team. Founded in 2002, KingSett has raised $9.8 billion of equity for its Growth, Income, Urban and Mortgage strategies. Currently, KingSett owns interests in a $13.4 billion portfolio of assets. KingSett continues to seek further opportunities to invest in a wide range of real estate properties, developments, joint ventures and mortgage lending. Prior to joining KingSett Capital, Mark was Vice President Development at CentreCourt Developments. Mark has overseen high rise multifamily developments in Toronto for over ten years. Prior to coming to Toronto, Mark spent nine years managing mixed-use developments in urban centres along the eastern seaboard. 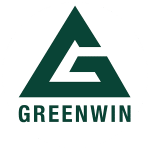 Lucy Gouveia runs Greenwin’s dynamic, multi-award-winning marketing and leasing department. Focusing her talents on the planning and marketing of a wide range of assets, including third-party managed properties, repositioned portfolios and new developments, Lucy prioritizes quality control, cost efficiencies and customer service in order to maximize value for our clients. Lucy began her real estate career with RioCan. 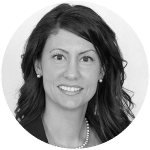 She has since worked in a marketing and communications capacity with national firms such as Canadian Tire REIT, MetCap Living, Timbercreek Asset Management and Realstar Residential. In her current role, she oversees the marketing for more than 16,000 rental suites, 1,000,000 sq.ft. of commercial space and several new development sites throughout Ontario and Quebec. Tony Irwin is President & CEO at the Federation of Rental-housing Providers of Ontario. Before joining FRPO, Tony was President & CEO with the Canadian Consumer Finance Association as well as was Vice President, North American Government Affairs, with Dollar Financial Group, Inc., where he directed government affairs initiatives across Canada and the United States to influence the public policy environment and enhance the company’s profile and position as an industry leader. Tony served as Chairman of the Canadian Payday Loan Association and was active with the Community Financial Services Association of America. From March 2009 to July 2012 Tony was Manager of External Affairs & Consumer Relations with Allstate Insurance Company of Canada, where he implemented a national government relations strategy and served as official company spokesperson. Prior to joining Allstate, Tony served as Executive Director of the Justin Eves Foundation, a non-profit organization granting scholarships and bursaries to learning-disabled and disadvantaged young people to assist them to achieve a post-secondary education. Tony has also held key political roles and was Senior Advisor to an Ontario Premier and Executive Assistant to the Leader of the Official Opposition. Mark’s expertise in strategic debt structuring spans every asset class including multi-residential, student housing, hotel and resort, retail, office, medical, and single purpose properties for both construction and term financing. 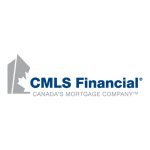 He has established a large network of commercial mortgage lenders and industry professionals to form a global team which creates control and leads to success. Francis Lépine has nearly 40 years of leadership and excellence in the development and building of premium rental properties and general contracting experience with a winning track record. He started his career very early, hands on in the construction field working for the family on the Olympic Village site in Montreal – two towers – 20 and 22 floors and 1,000 units. Francis climbed up the ranks on numerous other great projects in Montreal until the late 1990’s, going through over 3,000 units. In 1998 Francis decided to relocate to Ottawa, with his family, where he developed another 1,500 units in premium residential projects to date. The most recent completed one being William’s Court, located in the West end of Ottawa, is now completed. This project is comprised of six (6) buildings – 750 units – including a Clubhouse with full sized gym, pool and all the bells and whistles. Derek Lobo is the founder and CEO of SVN Canada Inc., SVN Rock Advisors Inc., and the Derek A. Lobo & Associates Inc. For more than 30 years, Derek has worked extensively in the apartment and student housing industry across Canada and the United States advising clients on all aspects of apartment ownership and development ranging from feasibility analysis, financial modelling, design and construction, asset management and leasing to dispositions and brokerage. 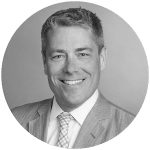 Derek specializes in large and complex asset sales and has brokered transactions some of the largest transactions in Canada. He continues to be regarded as a knowledge expert in the areas of new apartment construction and luxury student housing and has been intimately involved in the many developments across Canada. 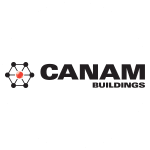 Jon McGinn is a licensed Architect who received his Bachelor Degree in Architectural Science from Ryerson University and his Masters of Architecture from Lawrence Technical University. Jon is the complete package. A skilled and creative Architect as well as an excellent communicator. Jon has the ability to adapt the Architectural vocabulary and style for a project specific situation. 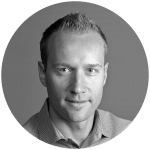 Jon is well skilled in developing compelling and memorable value propositions and to relate them effectively to the project team. The methods and approaches that Jon employs, are very effective to managing communication challenges in the Architect-client relationship. Jon and Chamberlain, are the Bridge between Magic and Logic. Jon has worked with numerous developers and owners, on many hotel and multi residential projects both domestically and internationally, to create creative living environments and vibrant communities that meet the requirements of developers Proformas and City requirements. Mr. Gregory G. Romundt is the founder and President of the Asset Manager, the Property Manager, the Mortgage Manager, the Mortgage Servicer, Centurion Apartment REIT, Centurion Real Estate Opportunities Trust, and Centurion Financial Trust. He has been engaged in investment in residential real estate since 1997 and investments and financial markets since 1991. He has real estate investment experience in Singapore, Britain, Australia, China and Canada. From 1991 to 1997, he worked for Citibank in Toronto, New York and Singapore as a financial derivatives trader in interest rate derivatives, major and emerging currencies and exotic derivatives. 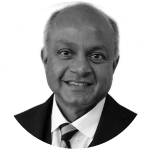 From 1997 to 2001, he worked for AIG International Group in Hong Kong, Britain and Singapore as head of emerging market derivatives and then as Senior Vice President and Partner (Emerging Markets). He was the group risk manager, overseeing all of the firm’s positions in emerging markets. He graduated from the Richard Ivey School of Business at the University of Western Ontario with an HBA in 1991. Mr. Romundt was nominated for and was a finalist in the Ernst & Young 2014 Entrepreneur of the Year award. He was named CEO of the Year in 2015 by Canadian Apartment Magazine. 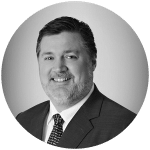 He has previously served on the board of NEMA (National Exempt Market Association) and currently serves on the board of the PCMA (Private Capital Markets Association). 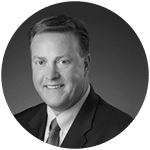 Mike Scott is Senior VP of Business Development, at CFO Capital. 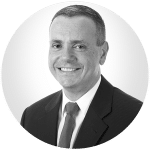 With over 30 years of commercial banking experience, Mike’s primary focus is origination, client development and relationships, referral network development and relationships, and deal structuring. 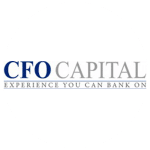 Prior to joining the CFO team, Mike was a top-rated sales manager and business developer with TD Financial Group. 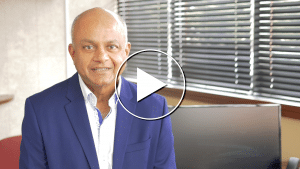 He spent over 25 years effectively building and nurturing strong relationships in the National Accounts, Commercial Banking and Business Banking groups. 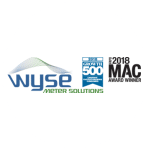 Mike is a graduate of Western University, earning his BA in Economics in 1985 and completing his Honours Business Administration degree, at Ivey School of Business, in 1987. 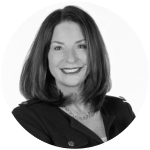 Tami speaks not only from a rare level and breadth of real-world experience in all facets of property management, but also as an owner and developer of award-winning apartment communities in four states. As President of Siewruk Development, she has completed a 192-unit apartment community in Austin, Texas; and in partnership with Conine Residential Group & The Huizinga Group, developed 305 units in Dallas, Texas. She currently works as a full-time consultant and is working on phase two of a small rental project covering two islands in the Bahamas. If that did not keep her busy she held the Chief Marketing Officer position with TRG Management (The Related Group Management) from 2015 to late 2018. 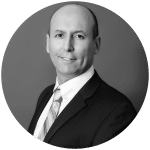 Michael is the Senior Vice President, Multi-Family of ONE Properties (ONE), a dynamic development, property management, asset management and real estate company. He oversees the management and strategic direction of the multi-family portfolio at ONE. 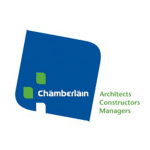 He is responsible for development and marketing activities, creating and managing all development proformas and liaising with partners for updates and approvals. 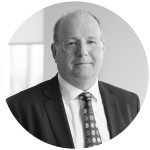 Michael has extensive experience in acquisitions, development and planning for mixed-use, high-rise commercial and residential development projects. 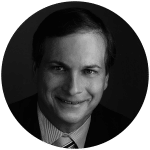 With a distinguished career in land acquisition and multi-family development, Michael has a history of positively impacting long-term success in an extremely strategic manner. He has been involved in the development of in excess of 30,000 multi-family residential units, hotels, community facilities and mixed-use developments. Prior to joining ONE, Michael worked for reputable residential development companies, and lectured with the Schulich School of Business at York University with a focus on Real Estate and Infrastructure. Sally Turner is Director of SVN Rock`s Research and Consultancy Department. 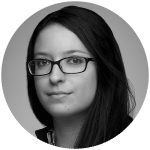 Sally is a trained urban planner, having earned a PhD in Urban Geography from the University of Toronto, with an additional six years of professional experience in land use planning and development. 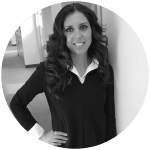 Sally brings this experience to SVN Rock Advisors, providing planning expertise and experience land development and acquisition to all research projects. 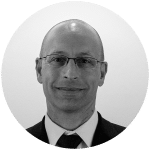 Oren Vered is the president of the Vered Group, an entrepreneur and engineer. Over the last 30 years Oren has served as president and director of private and public companies, hired as a deal-maker and problem-solver for businesses operating across four continents. 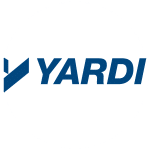 The Vered Group developed real estate projects in Canada, the USA and Israel for more than 50 years. For the last 15 years, Oren has been focused on the Montreal residential market. Oren’s strength and drive of making things happen without fail is now dedicated to creating the next level a rental product. The BRIX – a tower of nearly 300 apartments with a complete living environment that goes beyond the apartment space, and incorporates the entire building volume into a flow of animated living. The BRIX will be one of the most energy-efficient buildings in Montreal. All registrations include light breakfast, morning refreshments, and luncheon. For information about Group Registrations (5+), please contact Stefanie Schopen. Following the sessions on Day 1, Derek Lobo will host a Developer’s Only VIP Dinner. Venue to be determined. By Invitation Only, the dinner will be an opportunity for developers to gather with like-minded people, enjoy a great meal, and have a good time. 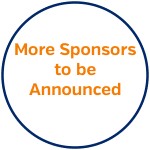 If you are interested in a sponsorship opportunity for 2019, please contact Stefanie Schopen. SVN Rock Advisors has negotiated preferential hotel rates at the Sheraton Centre Toronto Hotel – the same location as the conference – for Monday May 27, 2019. Rooms are available at a reduced rate of $289 per night. 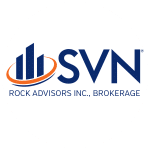 Attendees are able to make their own reservations by calling in toll-free at 1-888-627-7175 and stating that they are part of the SVN Rock Advisors’ group, or simply use the dedicated reservation link. Take Highway 427 South to Queen Elizabeth Way East, merge onto Gardiner Expressway East. Exit onto York Street and go North. Turn right onto Queen Street. Take the Gardiner Expressway East and exit at York Street. Follow York Street north and turn right onto Queen Street West. The hotel will be on your right. It’s where people meet to develop apartments. It’s where stakeholders from across Canada come together to talk about structuring deals, joint ventures, partnerships, and alliances. 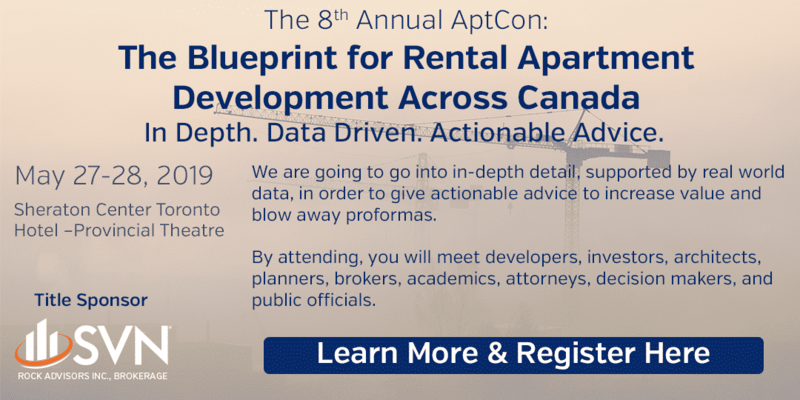 Alongside The 8th Annual AptCon: The Blueprint for Rental Apartment Development Across Canada, we are happy to announce that we will be holding the popular Deal Room. Arrange a one-on-one meeting with Derek Lobo, or another member of the SVN Rock team, to discuss the details of your project. We will help you determine exactly what you need to move forward with your project, and we will use that information to connect you with the experts in New Apartment Construction in Canada to ensure your project is a success. Registration for AptCon is required. No additional fees for access to the Deal Room. Cancellation and modifications must be advised by email to stefanie.schopen@svn.com and include your name and confirmation number. After May 15, registration modifications or substitutions will be subject to an administrative fee of $75. This fee will also apply to modifications on site. Registration cancellations received on or before May 15 will be refunded 80% of all fees paid. After May 15, refunds will not be made for cancellations or no-shows. By attending this event, you may be the subject of still photography or videography which is used by SVN Rock Advisors Inc., Brokerage for purposes of promoting future events. By attending, you agree to grant SVN Rock Advisors Inc., Brokerage the right to use your likeness in any photographic or video coverage of the event. Pertaining to the New Apartment Construction conferences and workshops in Canada; SVN Rock does not issue formal Visa invitation letters, supporting letters, nor correspond with embassies regarding entrance to the country or attendance at the selected event. An administration fee of $175 is applicable to each registration which is non-refundable. To register, please contact Stefanie Schopen with credit card details, include a photocopy of your passport verification page, both sides of your credit card and fax to 905-319-2528. Thank you for your interest and understanding. Please call 905-331-5700 x 232 or email stefanie.schopen@svn.com.